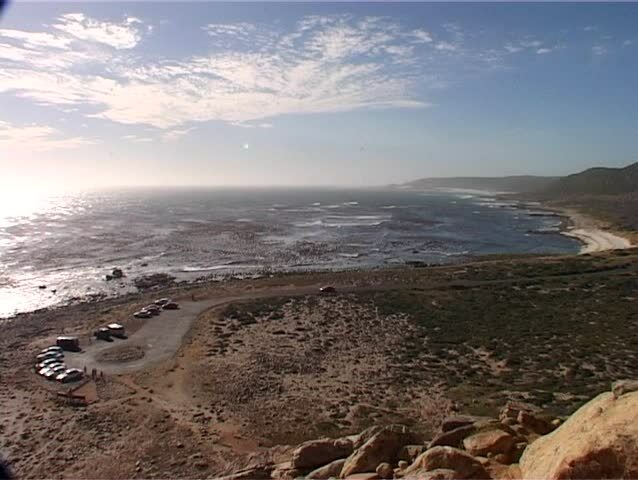 A view from Cape Point looking towards Kommetjie Beach in the Table Mountain National Park. This wild and windy viewpoint stretches on for miles in all directions along the Atlantic coastline. sd00:12A view from Cape Point looking towards Kommetjie Beach in the Table Mountain National Park. This wild and windy viewpoint stretches on for miles in all directions along the Atlantic coastline. 4k00:17Aerial view of a small town on a rocky Atlantic Ocean Coast during a cloudy day. Taken in Little Quirpon, Newfoundland, Canada.